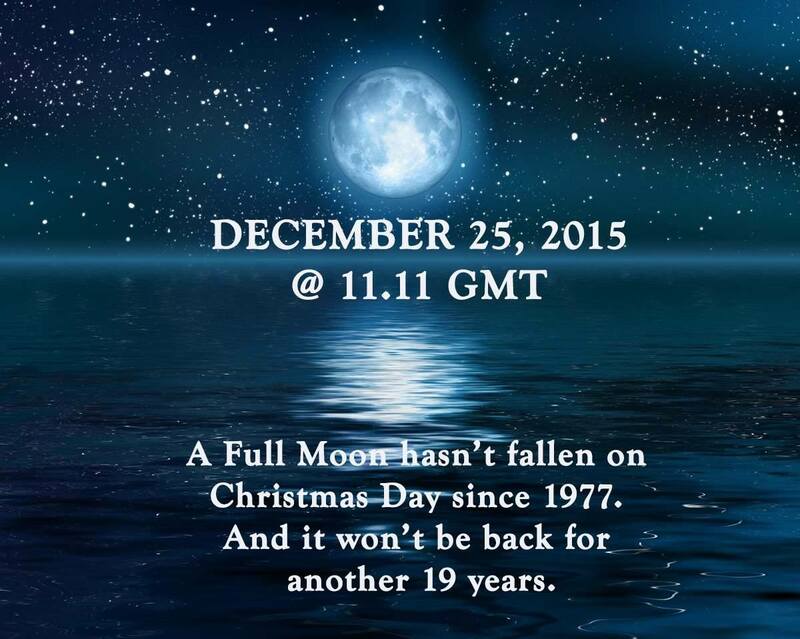 At 11.11am GMT on 25th December, a rare full moon will grace our skies, which hasn’t been seen since 1977. It won’t return for another 19 years (that’s 2034 folks! ), so let’s make the most of it! Sometimes known as the “Full Cold Moon”, it will be above the horizon for a long time, having a high trajectory across the sky due to a low sun (opposing) – accordingly the last full moon of the year is called the Full Cold Moon or the Full Long Nights Moon, named after the long, chilly nights of the winter. This full moon has a high trajectory across the sky, because the sun is low on the horizon this time of year. Let’s celebrate this Cosmic Christmas Event and pass the message on, so everyone else can enjoy it too! This entry was posted in Cyprus News, Holiday Rentals, Resort News and tagged 2015, astronomy, christmas, December, Nature. Bookmark the permalink.